Britannia (iLVE) Main Oven Outer Door Glass Panel 90cm Ovens, Stainless Steel L Line Design, For DOUBLE Glazed Doors Only. 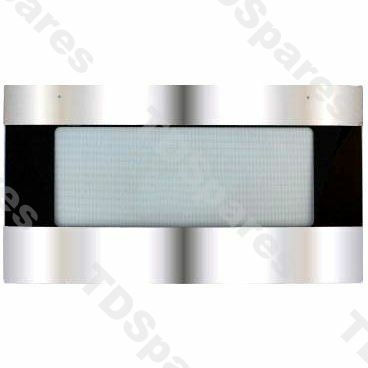 Replace your Britannia cooker's smashed, discoloured or cracked outer door glass on the main oven door with this genuine spare part from Britannia. Comes with top and bottom metal panels. BRITANNIA ILVE SI9S SI12T Range Cooker Models up to 2004.